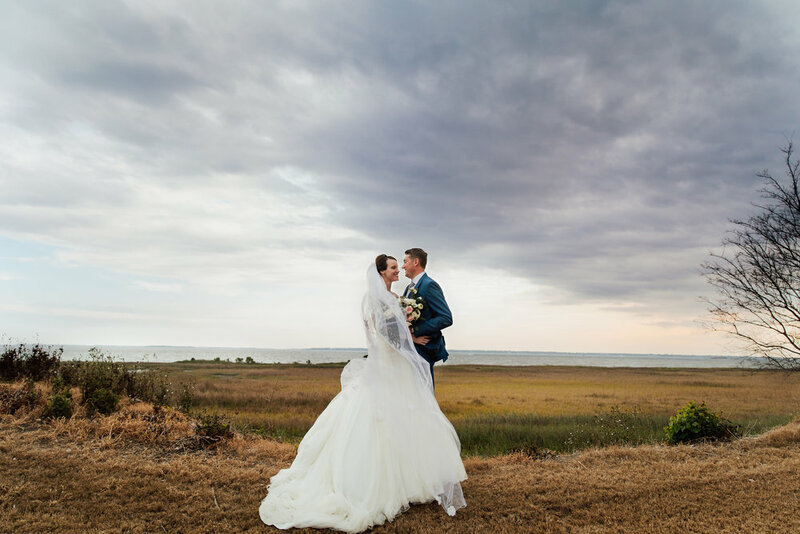 Gloria and Jameson’s Mount Pleasant wedding ceremony and reception took place on June 23rd at Patriot Point's majestic setting looking over the Charleston Harbor. Floral arrangements by Island Bouquets and a cake by Flowerchild beautifully showcased the couple’s chosen colors of coral, navy and gold. 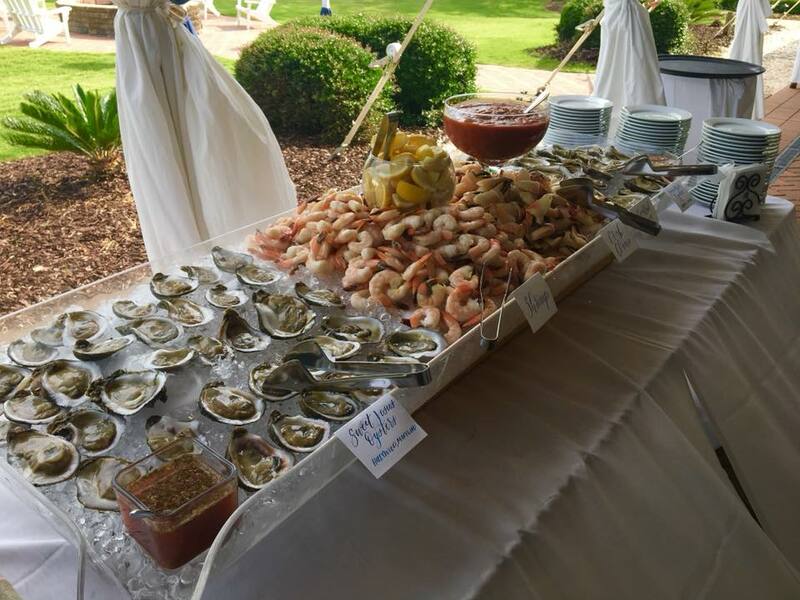 In regards to our catering, the couple had quite the spread including delicious items like Penne a la Vodka, Chicken Piccata, Prime Rib and a grand seafood display with local peeled shrimp, Stone Crab claws and chilled oysters on the half shell. 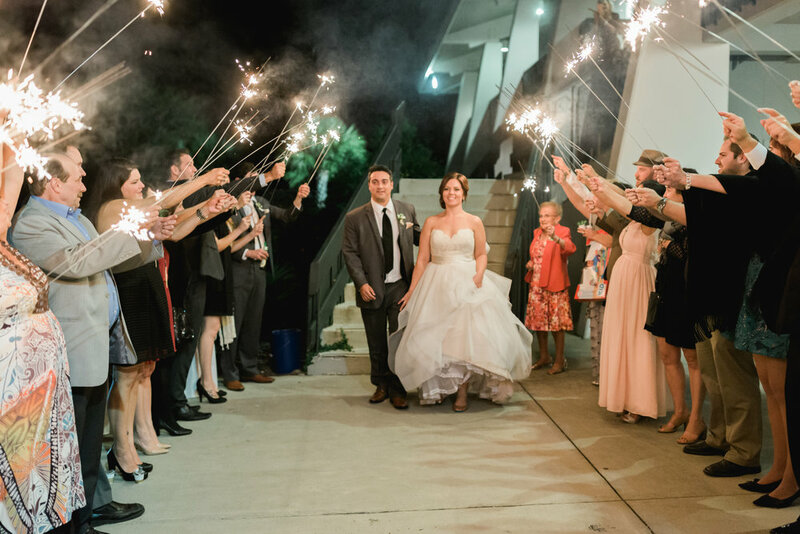 The Relish team was honored to be a part of this special celebration, and we wish the newlyweds many years of love and happiness! 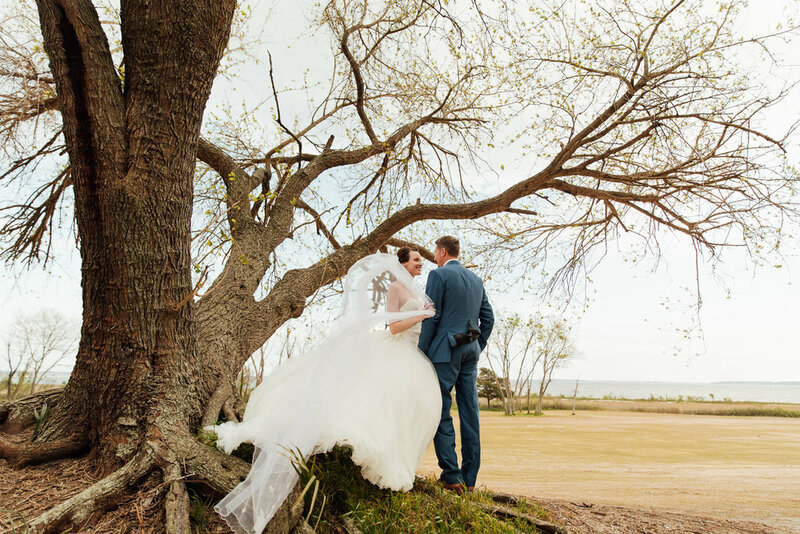 Planning a Charleston wedding? 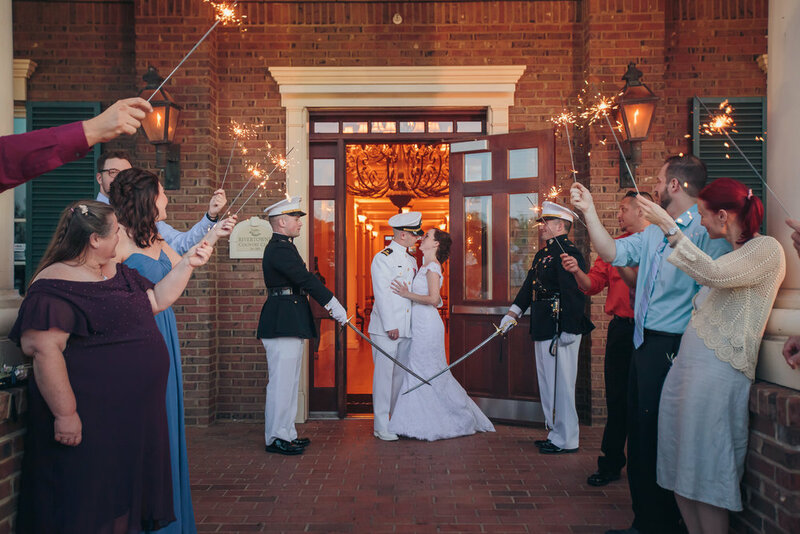 We are a preferred vendor for the Pavilion at Patriot's Point and also offer exclusive services at two beautiful Mount Pleasant venues, RiverTowne Country Club and Snee Farm Country Club. Contact us to schedule a complimentary tour! 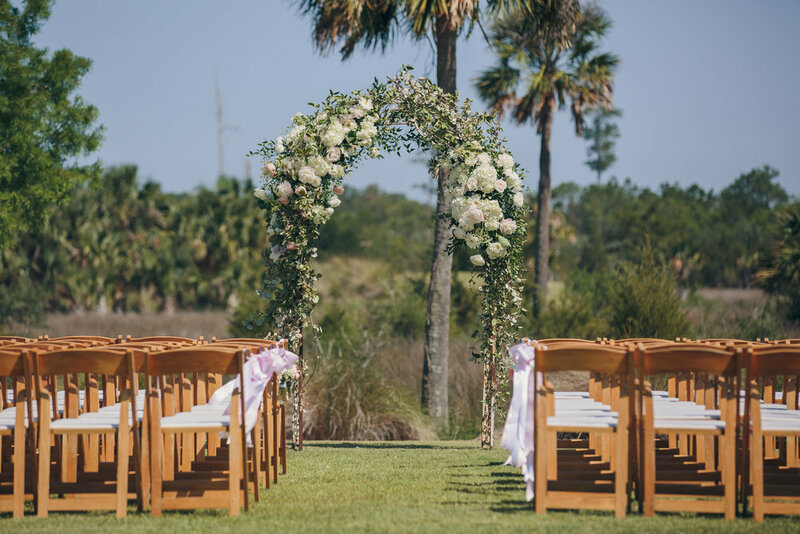 Your Charleston wedding may not be a destination for you, but it likely feels like a destination wedding to your out-of-town guests. This will definitely be the case if you or your fiancé were born out of state. Consider delighting locals and out-of-towners alike by serving up some local flavor. 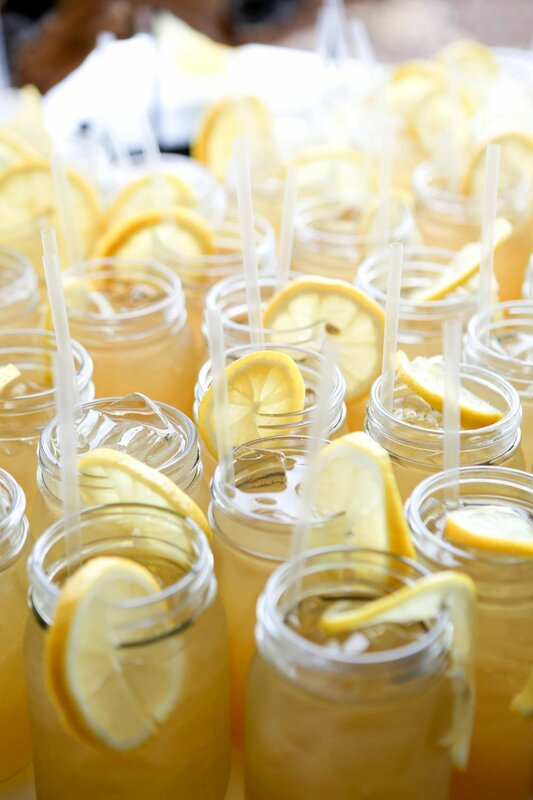 Arnold Palmers, made with lemonade and local sweet tea vodka by Firefly, is a popular choice among our clients, and it certainly suits wedding receptions with a golf course view (The Pavilion at Patriot’s Point, RiverTowne Country Club and Snee Farm Country Club all fit that bill). There are lots of other locally distilled spirits that can be used for Old Fashioneds, Gin & Tonics, Mint Juleps and nearly anything else you can imagine. If you prefer to skip liquor all together, locally brewed beer is another crowd pleaser. In addition to alcoholic drinks, plan special treats for those who choose to abstain. Locally grown tea from Charleston Tea Plantation is great choice. We especially love the idea of local coffees and teas for winter weddings. Above Photos Provided by Reid + Stone Photography. They say that two brains are better than one, and we tend to agree... especially when it comes to planning a drink menu! "His and hers" drink options are one of the easiest ways to personalize a wedding reception. We recently worked with a couple who customized a prosecco and pomegranate cocktail for her pick and opted to serve a favorite local beer, White Thai by Westbrook, for his pick. 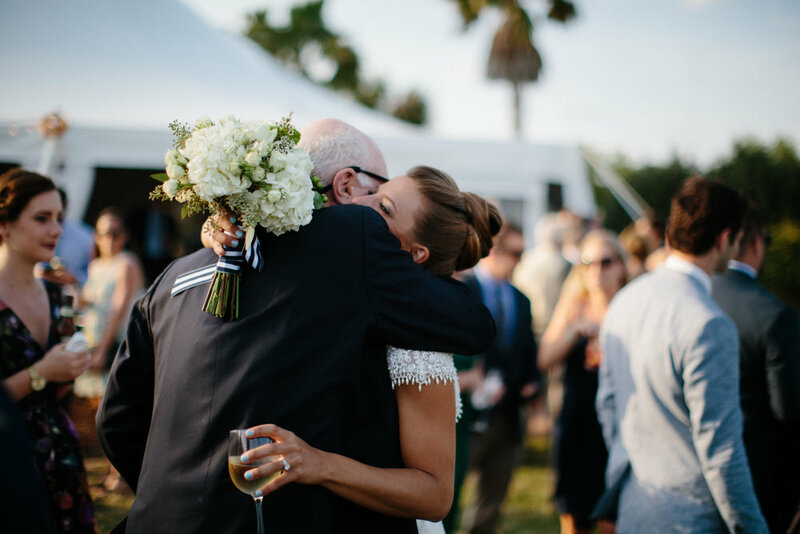 And since Charleston is a melting pot, some couples put a home state spin on their drink choices... Long Island Iced Tea for a New York native, a peach flavored champagne cocktail for a Georgia girl, Jack and Coke for a groom hailing from Tennesse... The options are virtually limitless. Cocktails can take on virtually any color and flavor imaginable, so many of our clients opt for a themed drink. We recently catered a wedding reception that had a beachy, luau theme. We created elaborate fruit displays with pineapple palm trees, and the bride decked out the reception hall in shades of blue... Naturally, the signature cocktail (Blue Hawaiians) followed suit. Ready to start planning your wedding drink menu? 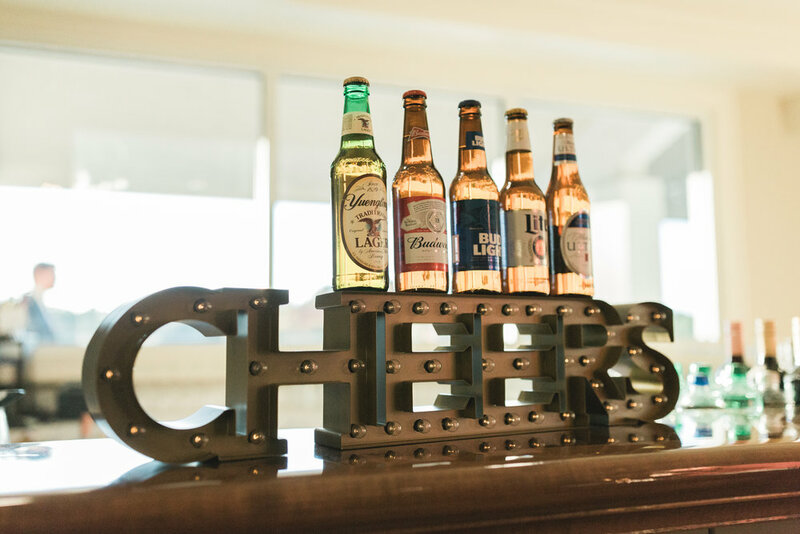 Relish is a full-service caterer, and we offer customizable bar packages. 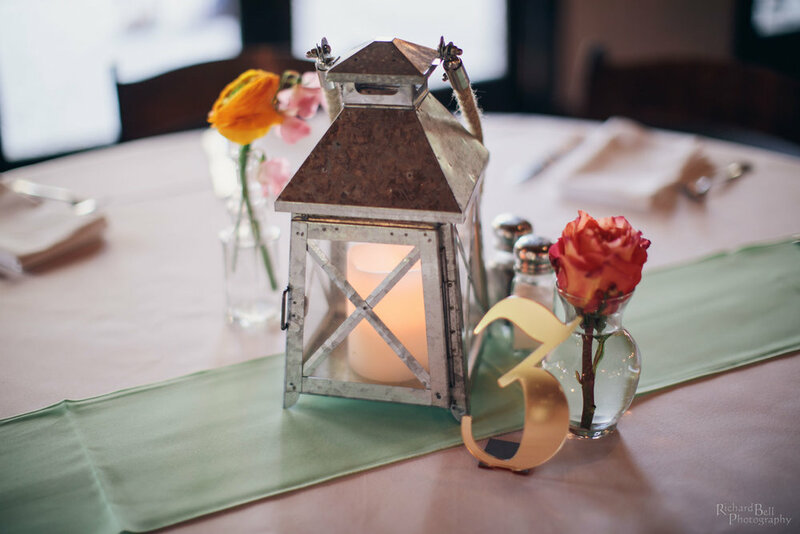 Schedule a complimentary consultation with our Catering Manager, Lacy Davidson, to learn more! 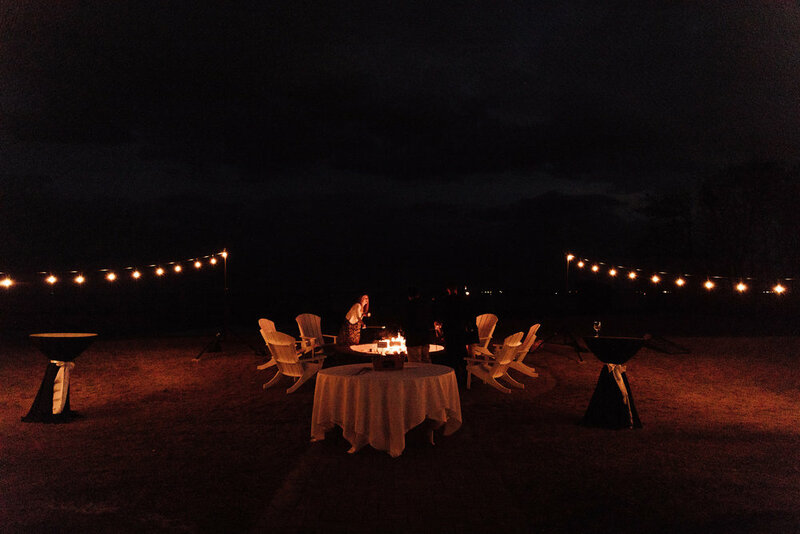 Relish Distinctive Catering is the proud co-owner of a new event venue in Mount Pleasant! We’ve partnered with Dunes West and RiverTowne to open Thomas Lynch Hall. 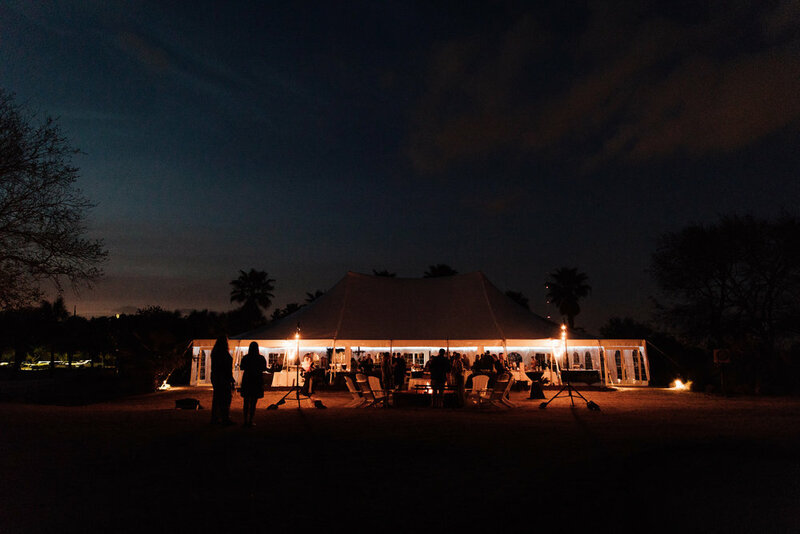 The venue is located on the Dunes West property (at 3003 Dunes West Boulevard in Mount Pleasant), and it is available to the general public (you do not need to be a Dunes West club member to reserve it). Thomas Lynch Hall can hold up to 350 guests, which is pretty special. Most indoor venues in the Charleston area are much smaller. The property offers ample parking as well. Thomas Lynch Hall is available for private parties, corporate events and weddings. 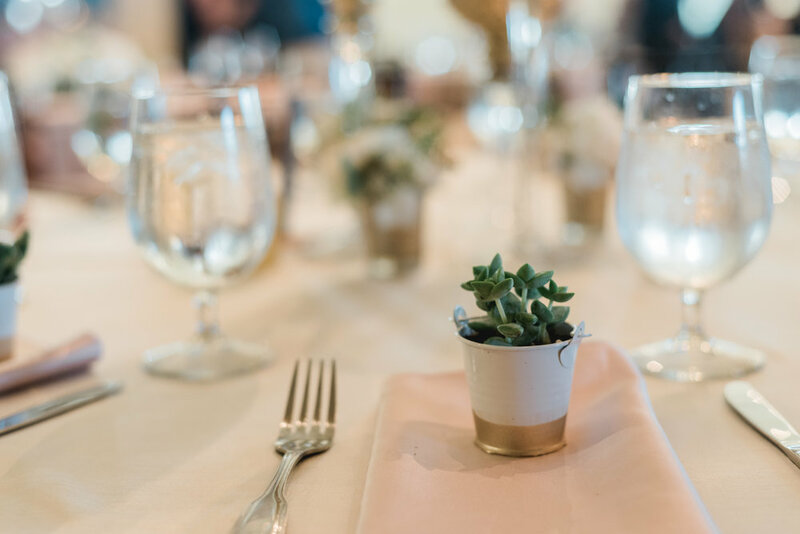 Any event at the hall that is booked through and catered by Relish includes white linens, glassware, flatware and china at no additional cost. The Relish team will host an open house later this year. Please follow us on Facebook for updates regarding that event. In the meantime, anyone who is interested in booking Thomas Lynch Hall can contact Lacy Davidson (submit a web form or call 843-849-2412) to schedule a private tour. Please excuse the mess! Relish is the exclusive caterer for Snee Farm Country Club, and our neighbors are busy building, building, building. Neighborhood construction will impact the Snee Farm clubhouse exterior in the New Year, and as a special “thank you for your patience” we are extending two exciting offers for newly booked 2018 events. 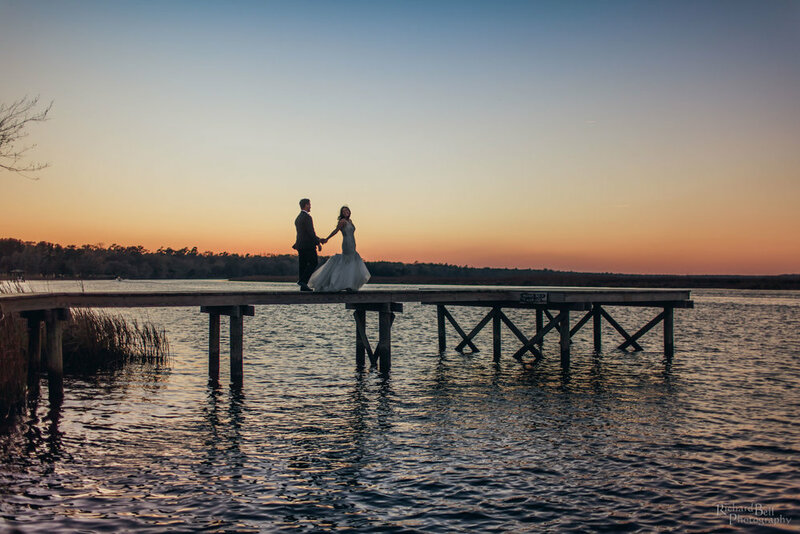 Snee Farm’s weekend rates will be discounted dramatically in 2018—from $2,500 to $1,000. 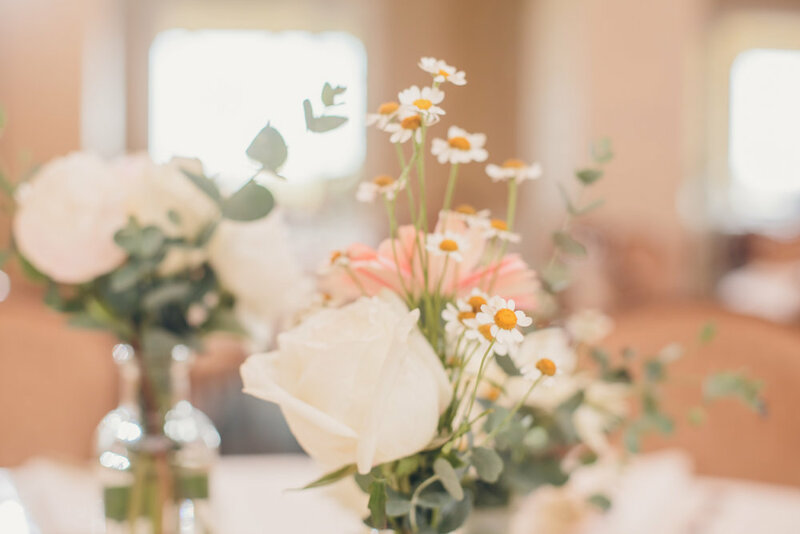 The ceremony lawn and clubhouse front will be impacted by construction, but the venue will be otherwise unimpeded and available for receptions and parties. 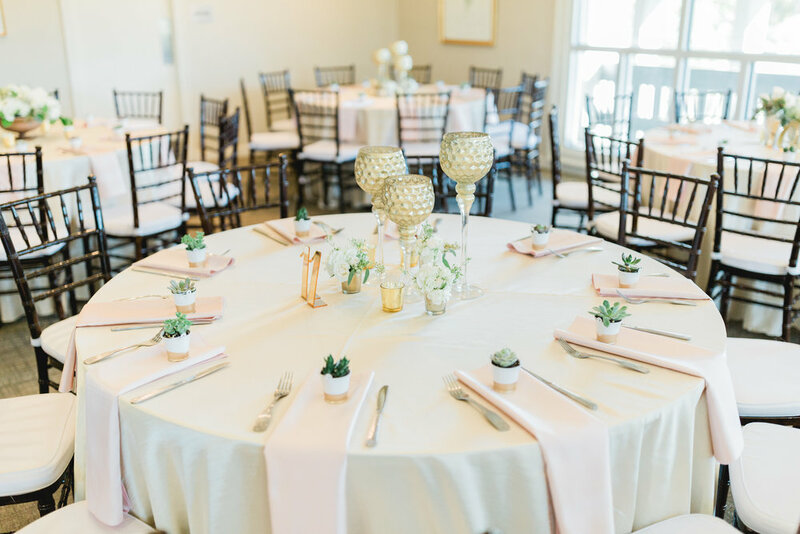 As always, the facility fee at Snee Farm Country Club includes complimentary use of tables, chivari chairs, white linens, glassware, flatware and china. Farm Country Club will continue hosting corporate events Monday – Thursday. Facility fees for those days will start at just $250 while neighborhood construction persists. 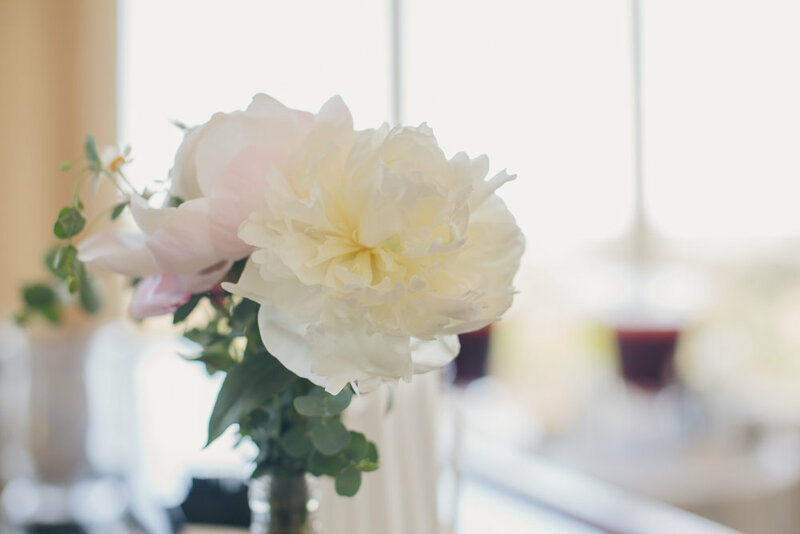 As with weekend events, the facility fee includes complimentary use of tables, chivari chairs, white linens, glassware, flatware and china. 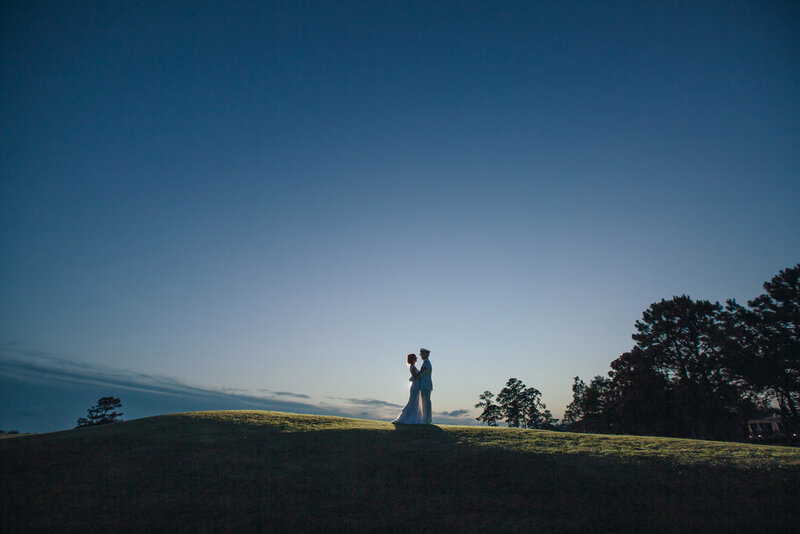 These deals will expire when construction ends, so book your event at Snee Farm Country Club today! Please contact us to confirm your desired dates, or to schedule a complimentary tour. *Discounts are valid for 2018 events that are booked on or after December 20, 2017. Offers expire December 20, 2018 or when neighborhood construction concludes. Offers are subject to venue availability, and Snee Farm Country Club reserves the right to amend offers based upon construction schedule. Rain checks will not be granted. Offers cannot be redeemed for cash value or combined with other discounts unless otherwise specified. There's no time like the present to start your holiday party planning! 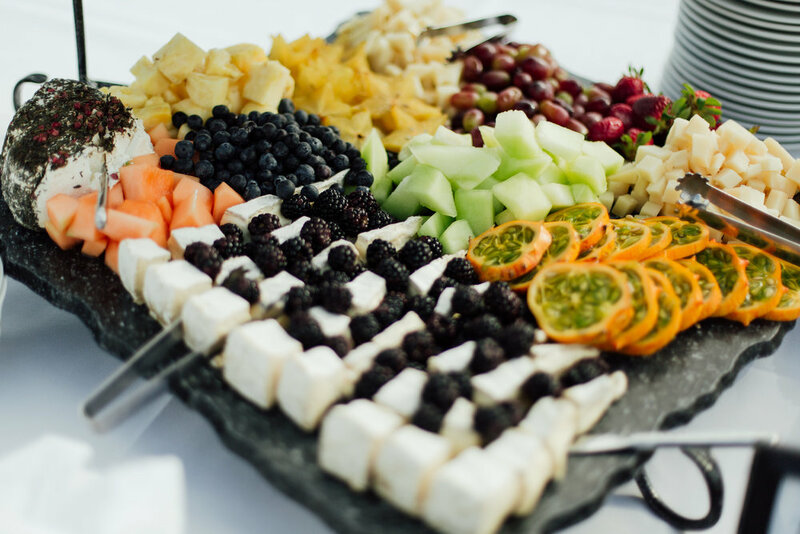 Relish Distinctive Catering is the exclusive caterer for two Mount Pleasant party venues, and we still have a few openings for December 2017. These venues are a phenomenal value, especially if you are planning an event during the week... But be sure to book soon. Available dates won't last long! 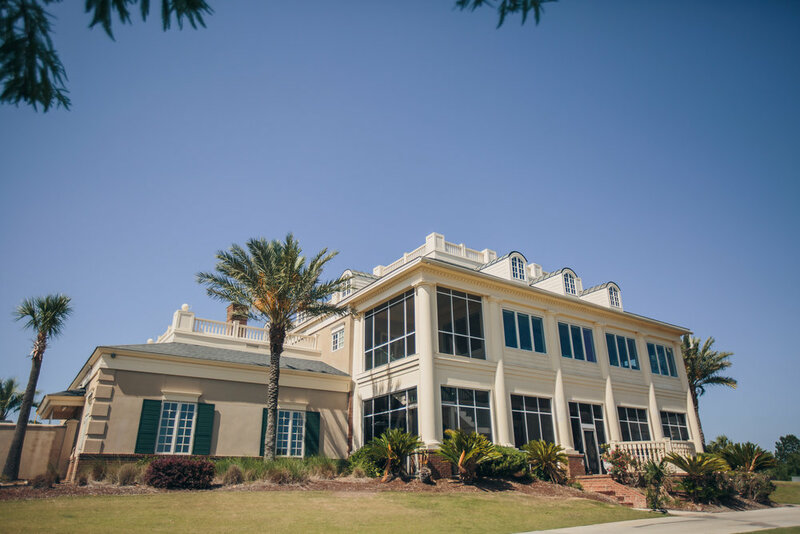 RiverTowne Country Club, located off of Highway 41 in Mount Pleasant, features a plantation style clubhouse with an elevated ballroom. 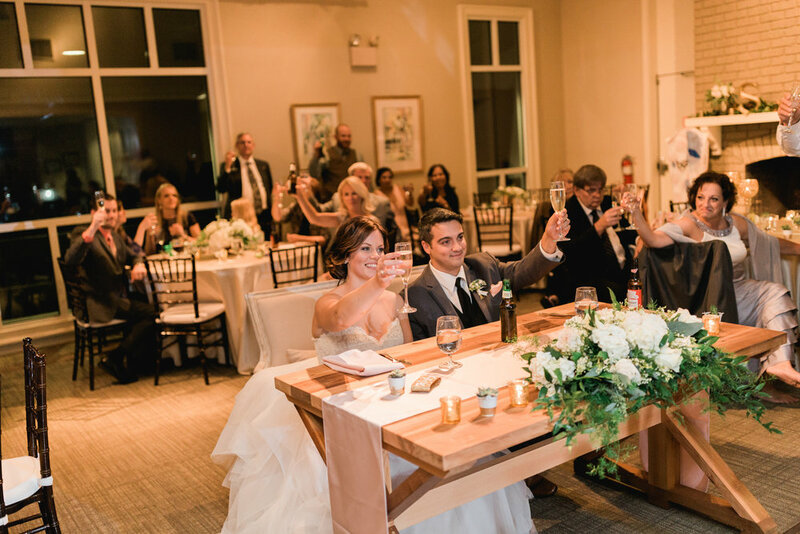 The ballroom seats 100 guests, and the clubhouse accommodates up to 130 guests total. 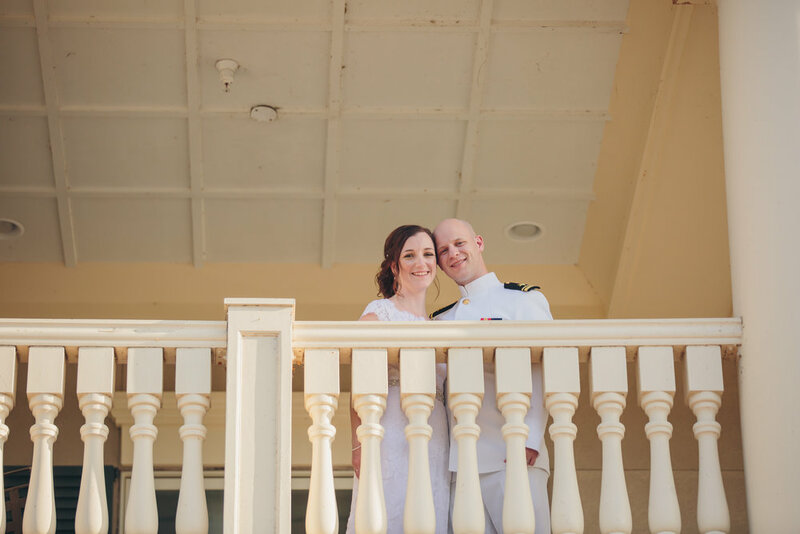 The ballroom has an adjoining balcony with additional seating, a dance floor and a stage that is well-suited for live entertainment, DJs and presentations. 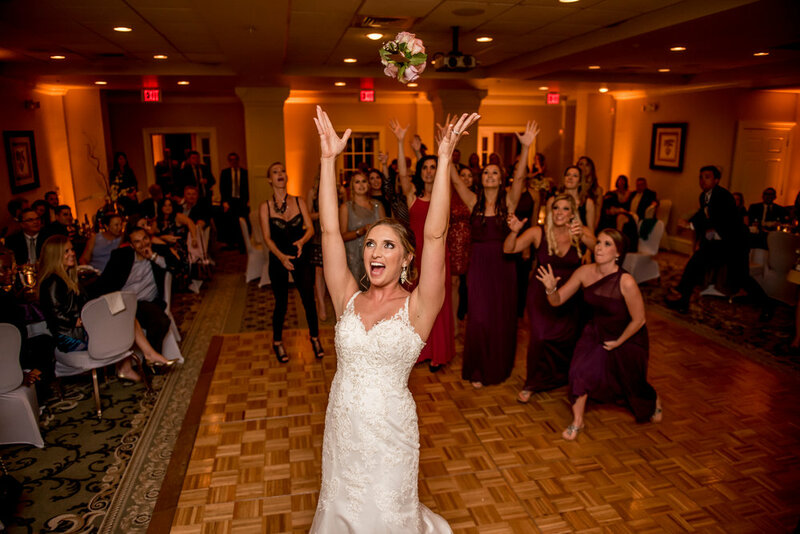 Facility fees for the RiverTowne clubhouse range from $500 to $1,500,* and you can forget the added expense of party rentals! 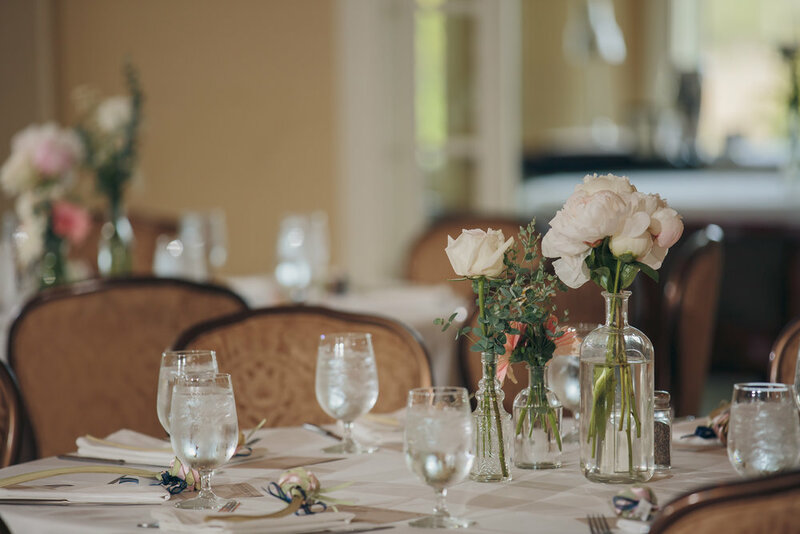 RiverTowne fees include the use of chairs, tables, white linens, glassware, flatware and china at no additional cost. 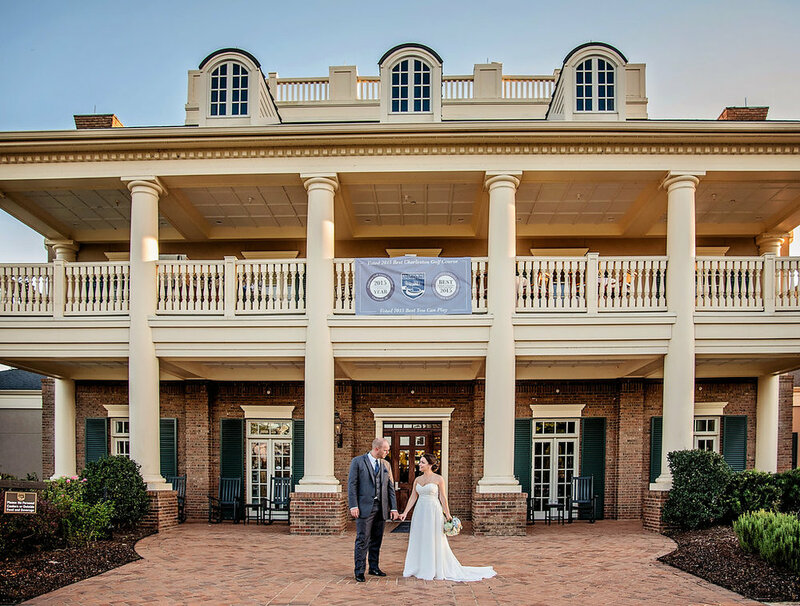 Located in the heart of Mount Pleasant, Snee Farm Country Club is home to a newly renovated clubhouse that can seat 200 guests and accommodate events as large as 300. The open concept clubhouse features a bar, balcony and dancefloor that is spacious enough for a full band. 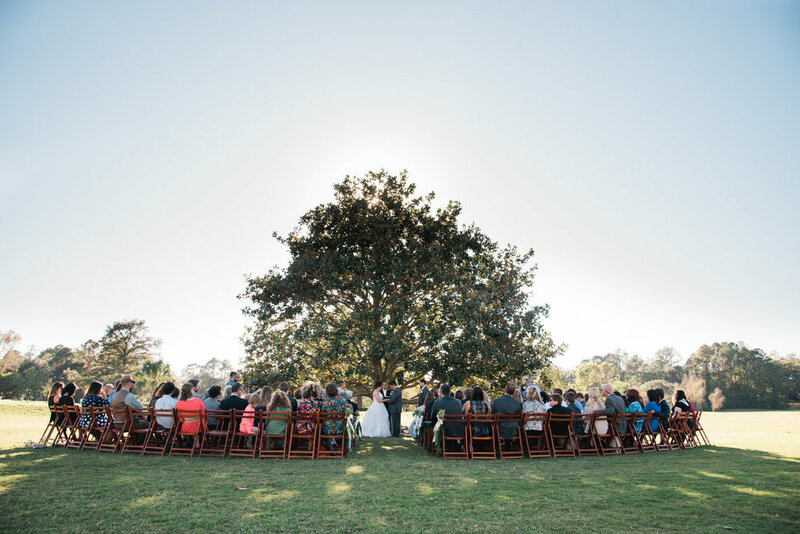 Facility fees for the Snee Farm clubhouse range from $500 to $2,500* and include the complimentary use of chiavari chairs, tables, white linens, glassware, flatware and china. 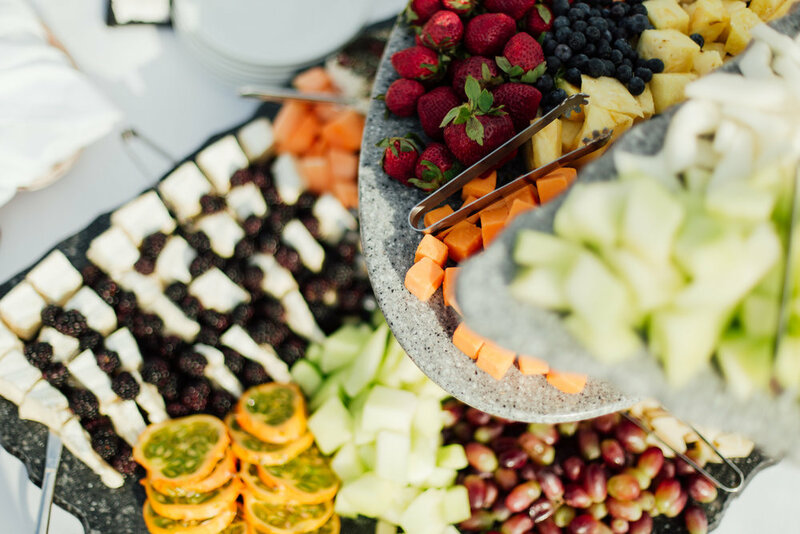 Customizable catering menus and bar packages are available at RiverTowne Country Club and Snee Farm Country Club. Please contact our Catering Manager to request a complimentary estimate and to confirm venue availability. 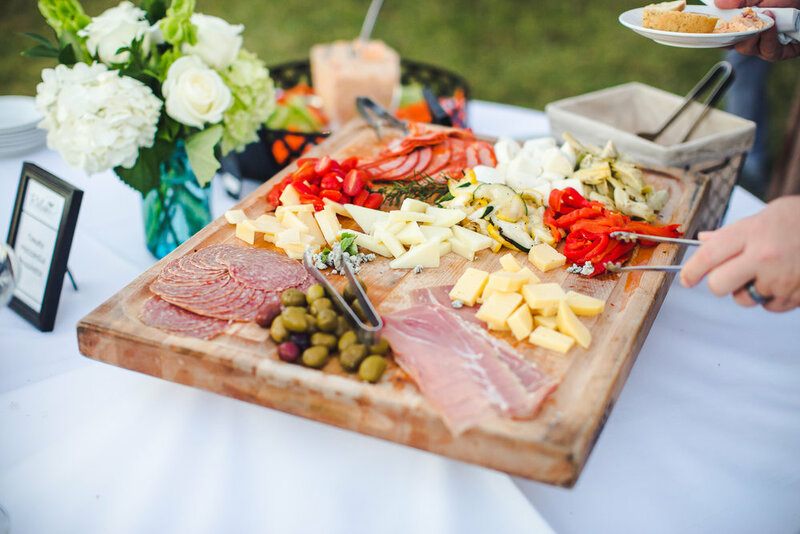 The Relish team is also equipped to cater events at other Charleston area venues, offices and homes. 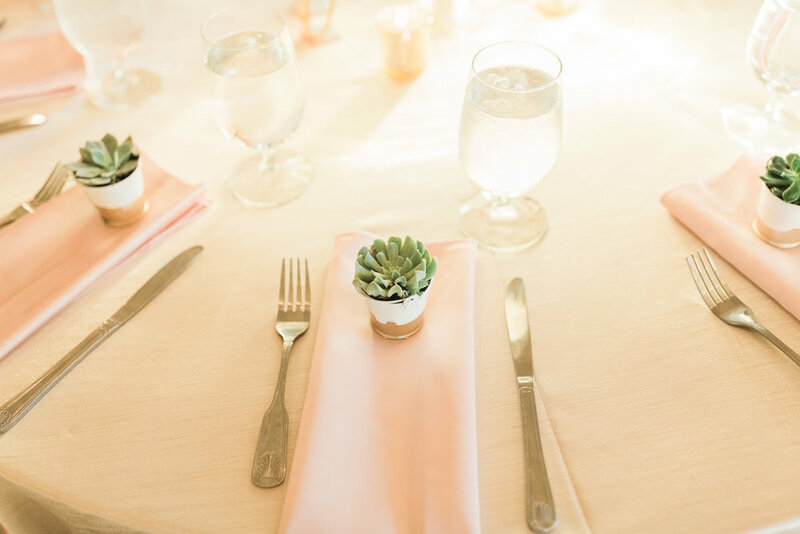 We can deliver your food and provide white linens, glassware, flatware and china at no additional charge. Please contact us to learn more. 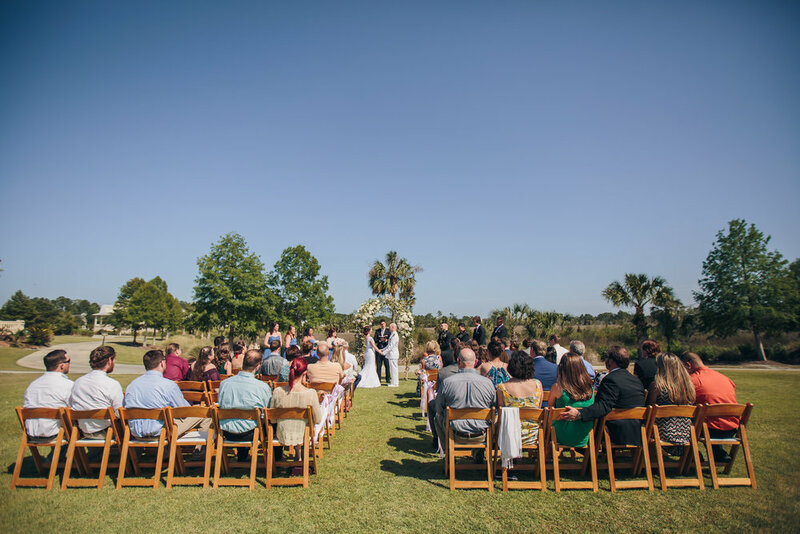 *Facility fees for RiverTowne Country Club and Snee Farm Country Club are subject to venue availability and vary based upon event timing (season, day of the week and length of event). Rates must be confirmed with a Catering Manager. Advertised pricing expires 12/30/2017. While fall typically conjures images of yellow, orange and red foliage, "fall color" in the Lowcountry takes on a whole new meaning! Pink Muhly Grass (Muhlenbergia), more commonly known as sweetgrass, is absolutely breathtaking. The pink blooms emerge in early October and last well into winter, depending on the weather. Happy anniversary to Kelly and David! We fondly remember your special day, and wish you even more love and laughter in the years to come. 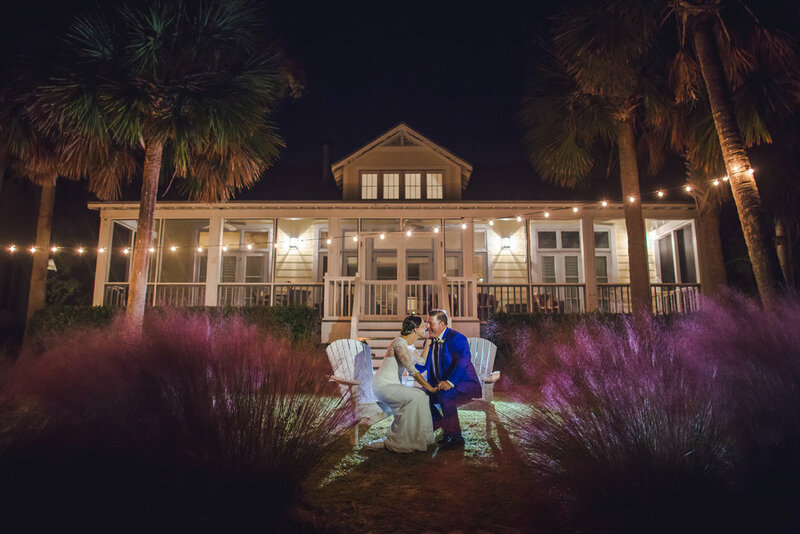 The Cottages on Charleston Harbor are perfect for destination weddings and events that involve out of town guests. 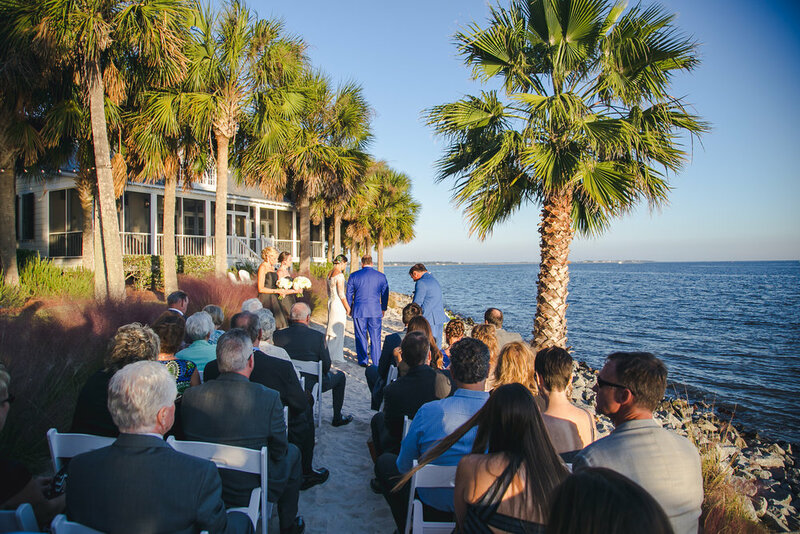 The property features cozy accommodations, a harbor front beach (an ideal space for intimate wedding ceremonies) and a reception space. 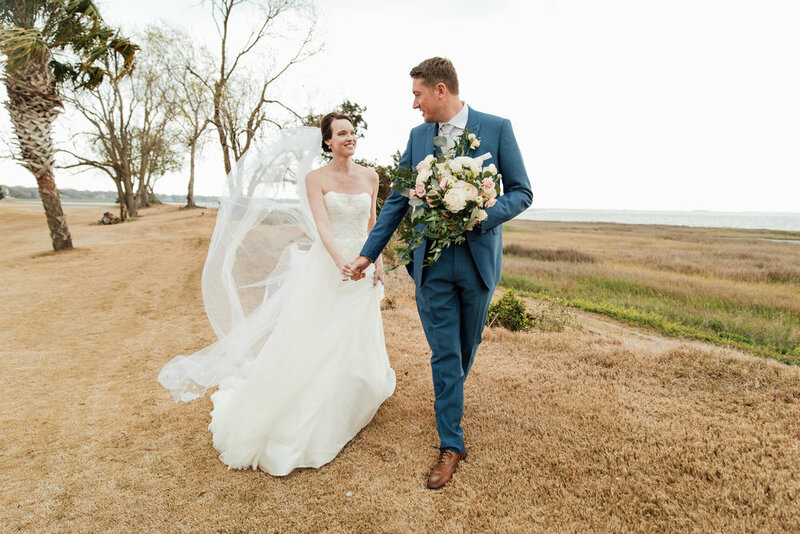 If you are interested in booking the Cottages for your Charleston wedding or wedding weekend accommodations, visit their website for details. 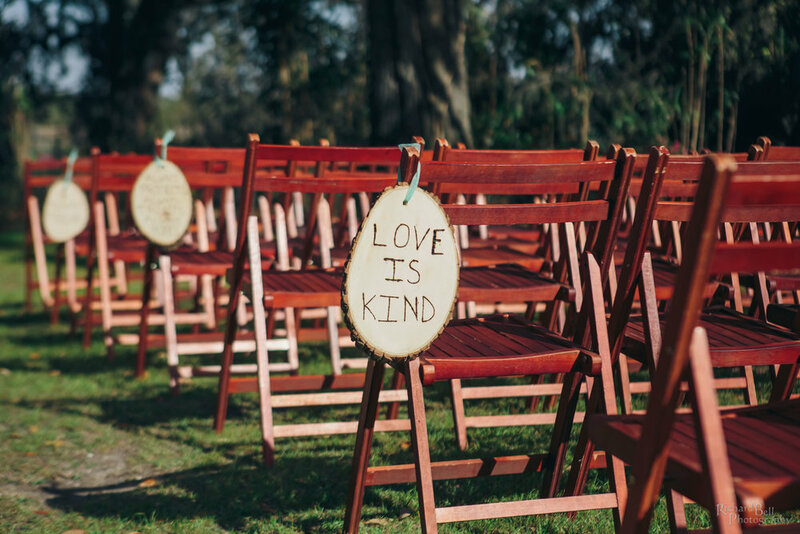 And be sure to contact us to learn about more of our favorite venues and full-service catering options. RiverTowne Country Club and Snee Farm Country Club have 2017 openings. Book your event before June 15, 2017, and save 25%! 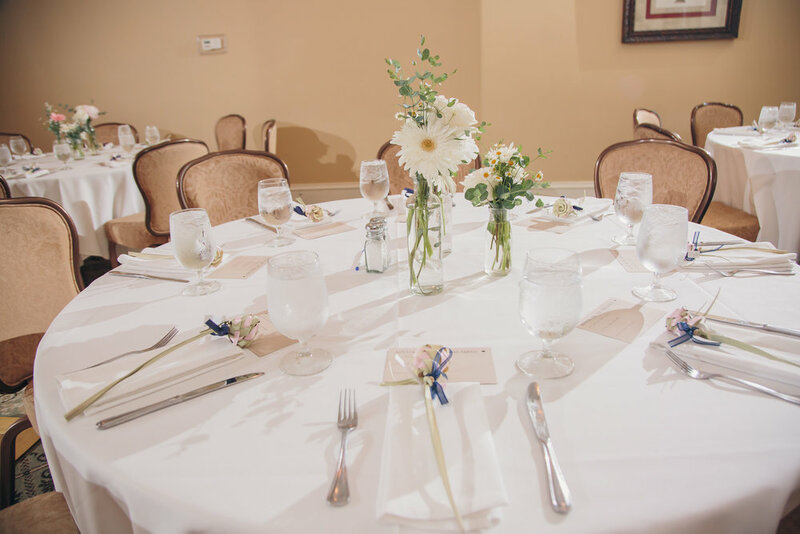 Discounted Facility fees include the use of clubhouse tables, chairs, linens, flatware and china at no additional cost! RiverTowne and Snee Farm have a few summer, fall and winter openings, but dates are filling up fast! Please use the form provided to inquire about venue availability. This offer is valid for 2017 events only and cannot be applied to previously booked events. 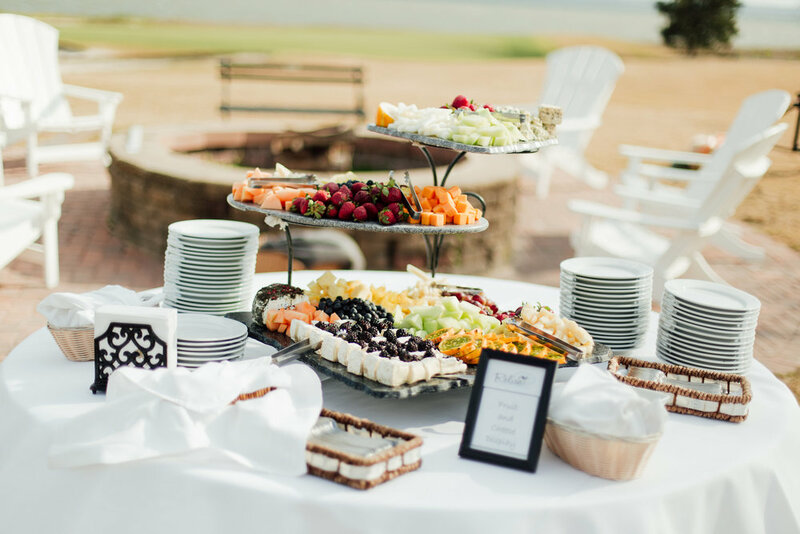 25% discount will be applied to the facility fee at RiverTowne Country Club or Snee Farm Country Club and cannot be redeemed for catering services. Select dates between June 1, 2017 and December 1, 2017 are open, and offer is subject to venue availability. Additional exclusions may apply. Offer expires June 15, 2017. Please indicate your interest (one or both). 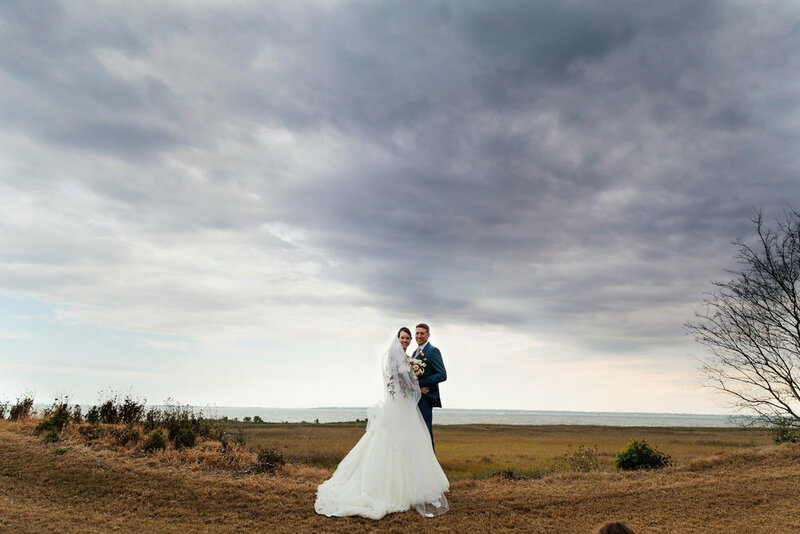 These gorgeous photos were provided by the talented team at Richard Bell Photography. 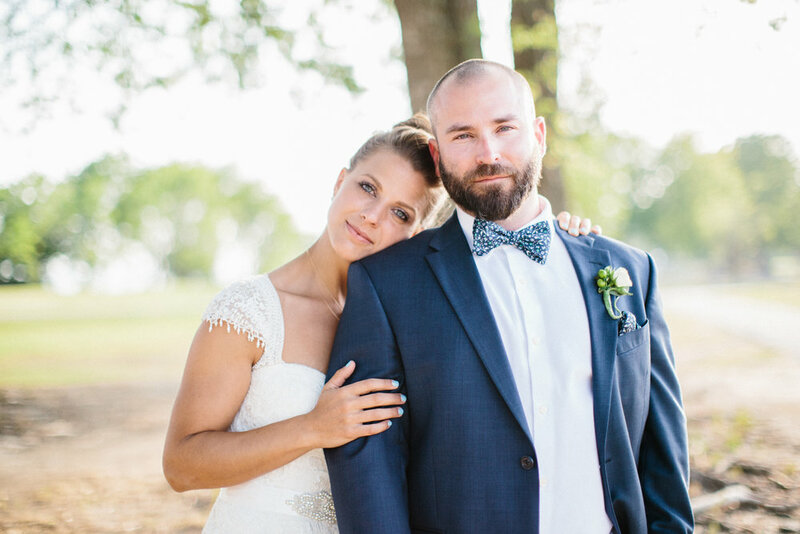 And the gorgeous couple, Savanna and Zack, are every bit as sweet as they look! Congratulations you two. We wish you all the happiness in the world! Savanna and Zack said "I Do" March 10, 2017. Azaleas can begin blooming as early as February, and the duration of azalea season depends on the weather (cold temperatures can cause blooms to drop). 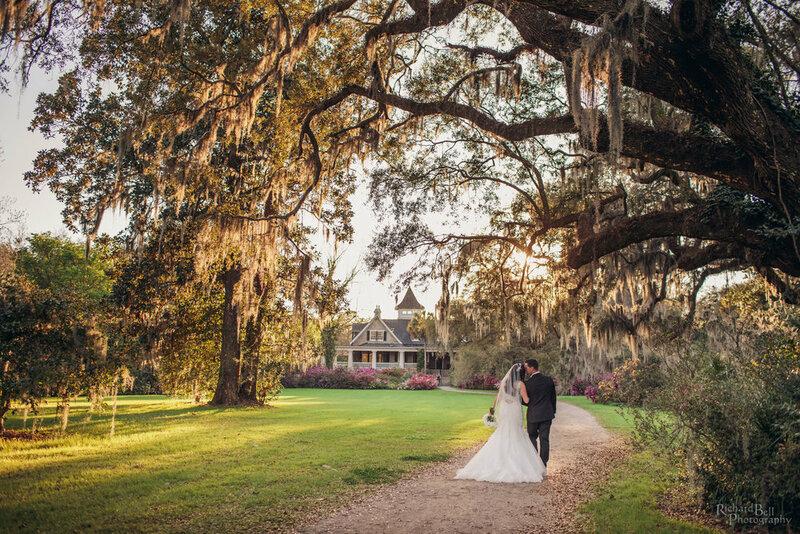 Want to book Magnolia Plantation for your wedding? Something is always in bloom. Visit their 12-Month Bloom Gallery to learn more. 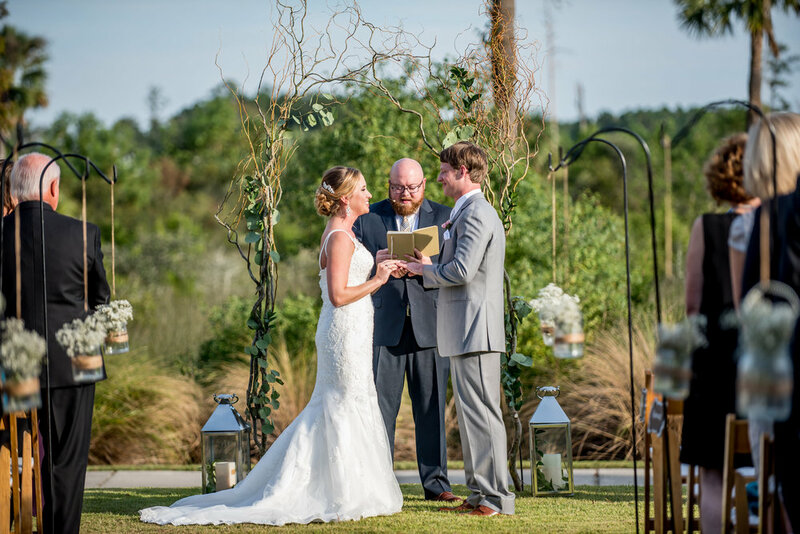 Relish is a preferred vendor for Magnolia Plantation, and we would be happy to recommend other vendors (such as Richard Bell Photography) who are well acquainted with the venue. Schedule a complimentary consultation for more information. Representatives from Relish Distinctive Catering will be attending both events, and we hope to see you there! 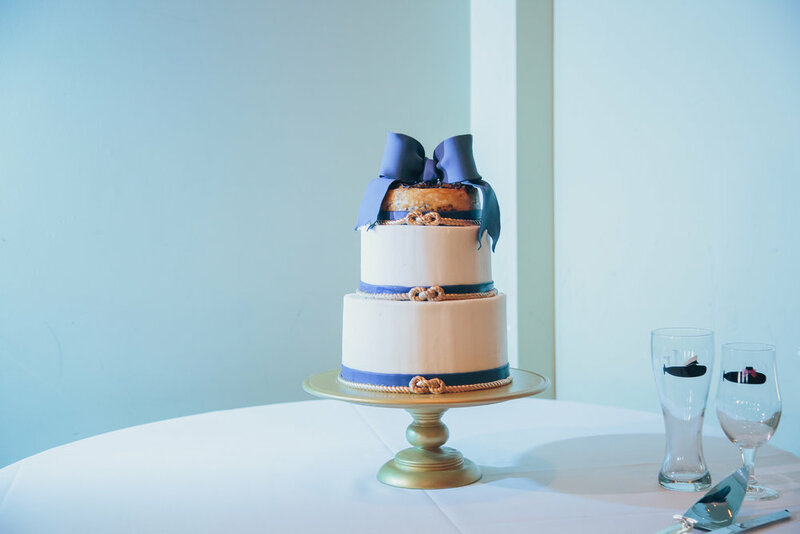 Photos by Dandy Mae Photography, taken at RiverTowne Country Club. We would like to take a moment to thank each and every one of our clients... Thank you for allowing us to celebrate life's most special occasions with you! Your enthusiasm and trust truly make our jobs worthwhile. We are also honored to announce that our team received a Couples' Choice Award earlier this month. 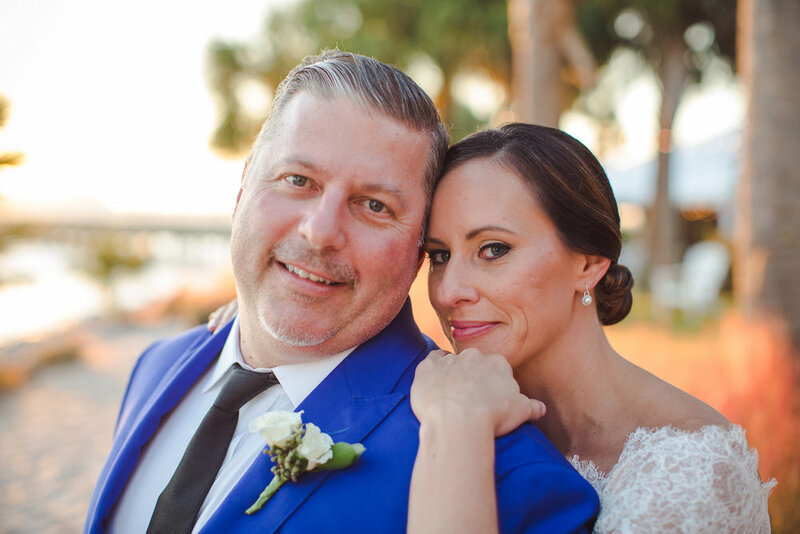 This award recognizes our work at RiverTowne Country Club in 2016 as being among the top 5% of wedding professionals on WeddingWire. 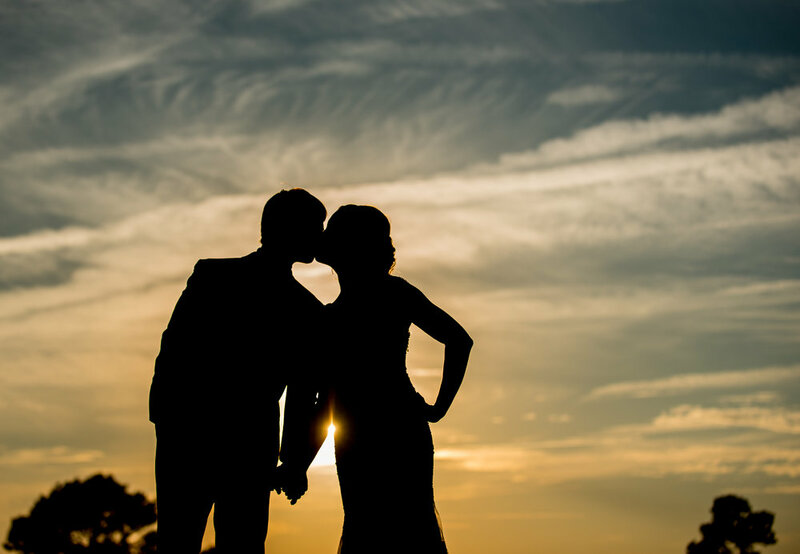 You can find our exclusive venue and tons of reviews in the Venue Category of the Couples' Choice Awards page. 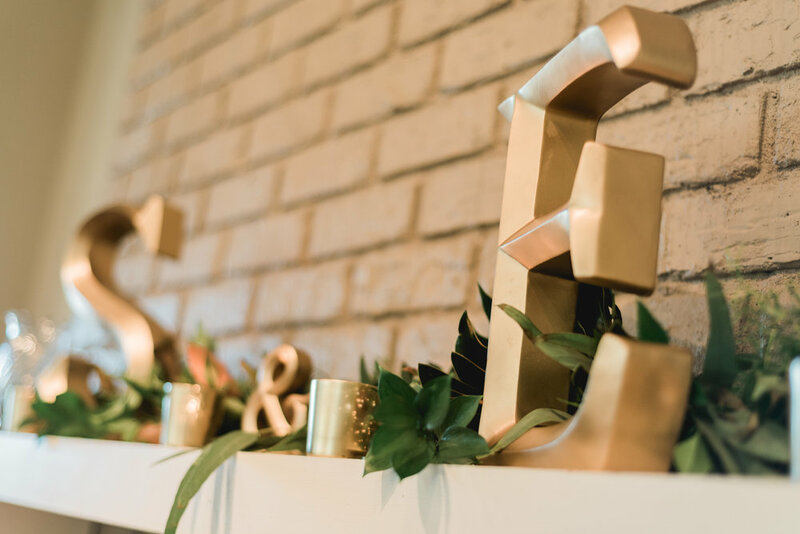 A HUGE thank you goes to Dandy Mae Photography for providing these gorgeous photos of a RiverTowne Country Club and the oh-so-fun Goldberg bridal party! Want to book our award-winning venue or our full-service catering team for your next event? Contact us to schedule a complimentary consultation. 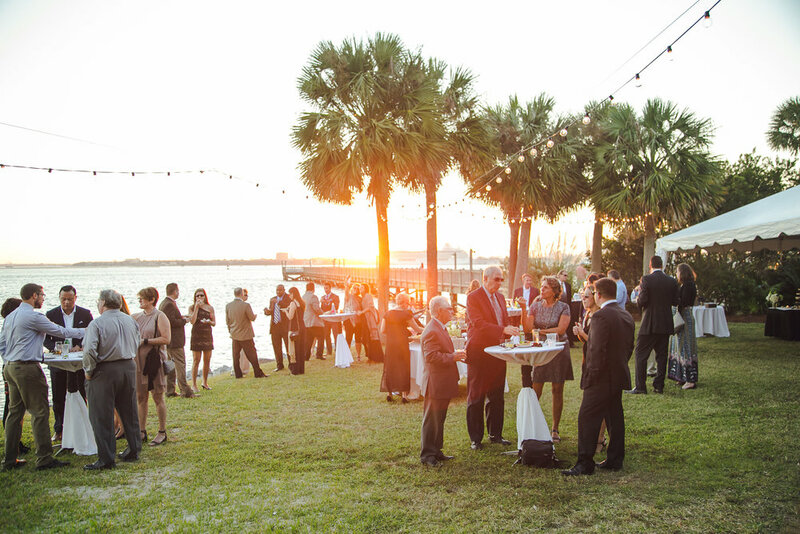 It’s that time of year again… The Charleston Parks Conservancy has pledged to raise $125,000 for local parks and playgrounds, and you can help by joining us this Saturday, November 5th for Charleston’s largest party! The event will take place downtown at Colonial Lake. General admission tickets are $85 in advance and $125 day of. That price includes an open bar, food and entertainment. This year’s theme is Under the Big Top, and guests are encouraged to dress the part in circus worthy attire. More than 25 other restaurants, eateries and distilleries will be providing their own festive flavors. It's going to be tons of fun, and we hope to see you there... Get your tickets today! 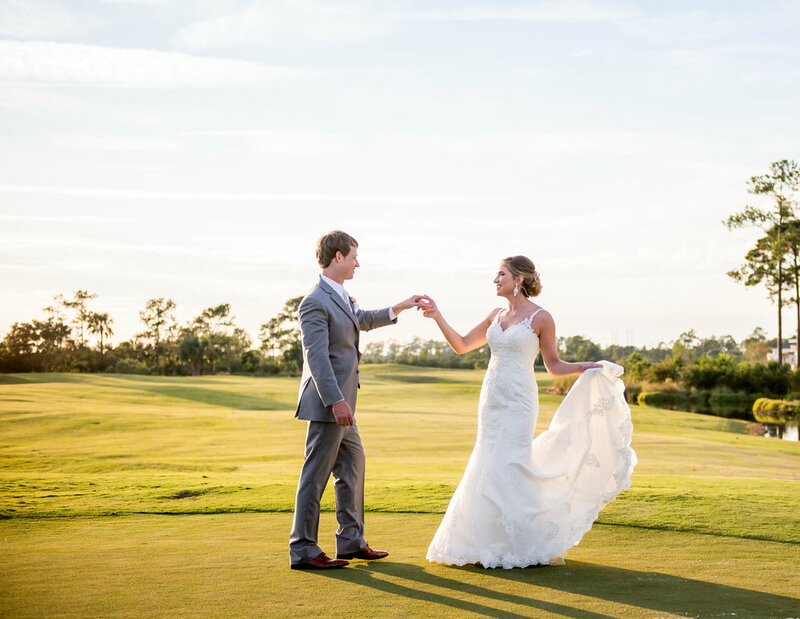 Secure a discounted venue and catering services* by booking your event at RiverTowne or Snee Farm Country Club today! Your event must take place on a Monday, Tuesday, Wednesday or Thursday before December 29, 2016 to redeem this offer. 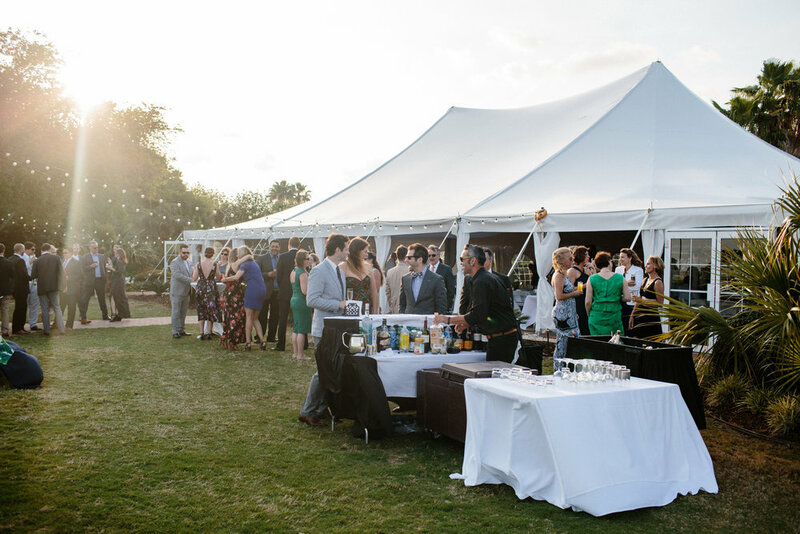 Contact a Catering Manager to confirm venue availability. 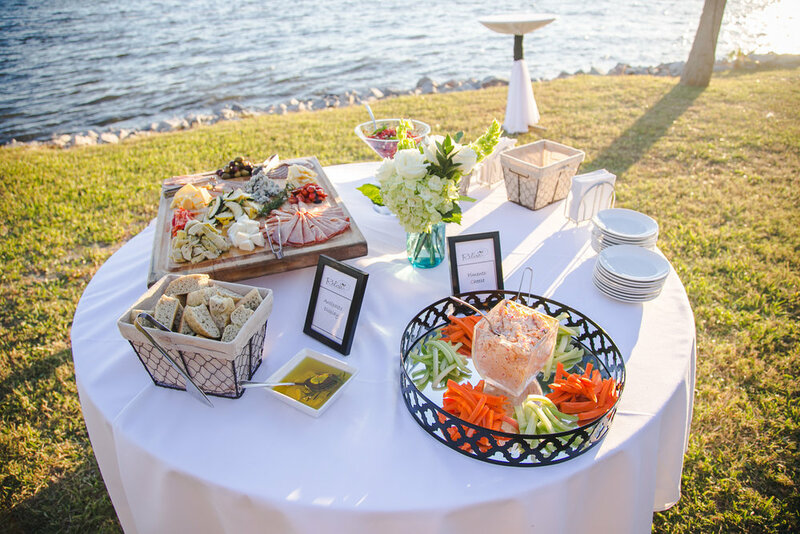 Relish Distinctive Catering is also a preferred vendor for Magnolia Plantation and the Pavilion at Patriots Point. We would be happy to honor the 20% catering discount for Monday, Tuesday, Wednesday and Thursday events at those venues as well. Contact a Catering Manger for details. *Some exclusions apply. Offer subject to venue availability and catering minimums. 50% discount valid at RiverTowne Country Club and Snee Farm Country Club only. 20% catering discount will be applied to food cost. Alcohol not included. Discounts valid toward events that take place Monday – Thursday before December 29, 2016. Offer cannot be combined with other promotions and is not redeemable for cash value. Discounts not valid toward events booked before October 18, 2016 or after December 29, 2016. Discounts not valid toward pre-booked events scheduled for 2017.